I'm really excited and thankful for the opportunity to be celebrating National Ice Cream Month (!!!) here on Gidget Goes Home. The California Milk Advisory Board chose me to blog about the fun family ritual of making homemade ice cream. My loyal readers all know how much I love homemade ice cream! I've been searching for a while and I finally came across a good, simple chocolate ice cream recipe!! It came out delicious and I was able to get the whole fam in on the process. the California dairy industry is providing much-needed jobs for the state and leads the nation in milk productions! 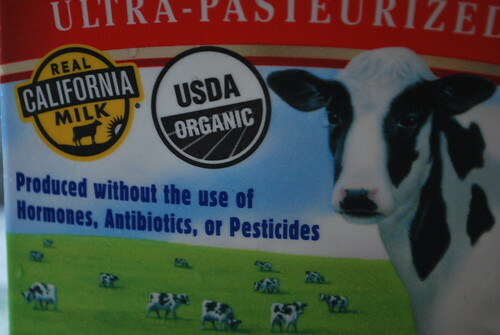 I love seeing the "Real California Milk" stamp, and knowing that I'm supporting my local economy! So let's get to the tasty stuff. I can't wait to have a bowl of this ice cream tonight with my hubby, but first I'll show you how we made it. 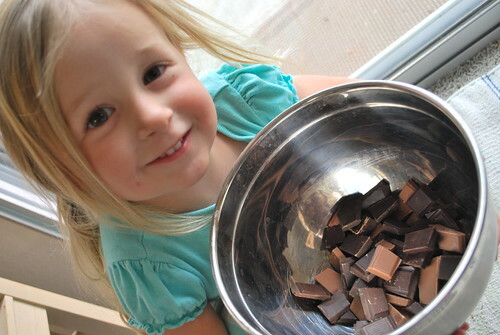 I recommend you find someone cute to help you with this recipe. And let's get the whole family involved, why don't we? These are the magic ingredients. More on the developer of this ice cream-making method in a future post. Tasty evaporated cane juice is my sugar of choice. Yummmmm, I just love whole milk. Here we go. 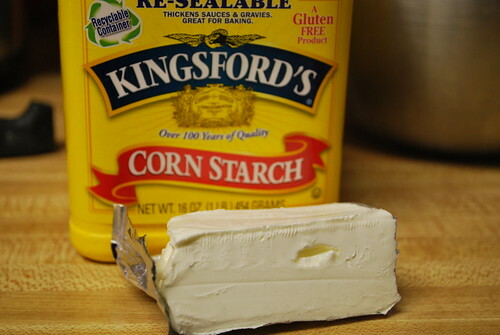 In a small bowl, mix 2 tablespoons of the half and half with the cornstarch. 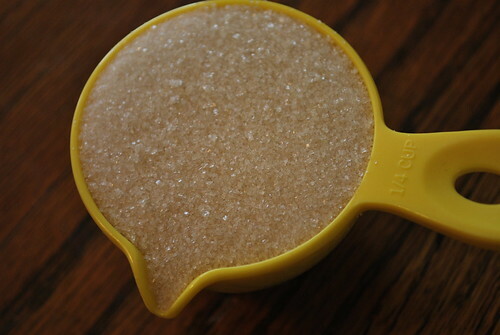 In a large saucepan, combine the remaining half and half with the sugar. 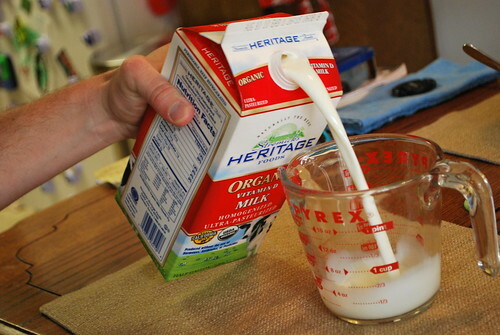 Bring the milk mixture to a boil and cook over moderate heat until the sugar dissolves, about 4 minutes. Off the heat, gradually whisk in the cornstarch mixture. 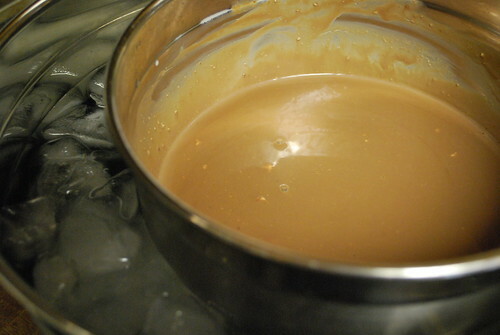 Return to a boil and cook over moderately high heat until the mixture is slightly thickened, about 1 minute. Meanwhile, set up an ice bath in a large bowl. Pour just enough of the hot milk over the chopped chocolate and and cream cheese to cover it. 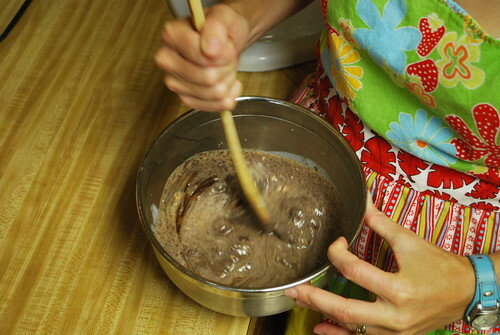 Stir until chocolate is melted and the mixture is thick and silky. Add the salt. Gradually add the remaining hot milk mixture. Set the bowl in the ice water bath and let stand, stirring occasionally, until cooled off, about 20 minutes. 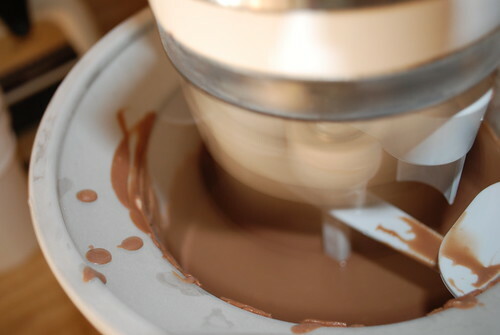 Pour ice cream base into an ice cream maker and freeze according to the manufacturer’s instructions. Freeze an additional two hours (or more) in an airtight container. Will keep (with best flavor) for about a week if sealed properly. Well, that was fun. And now I'm off to eat some of my creation. I hope you and your family will go make a batch of this goodness and celebrate what in my opinion is a great month! You can bet there's more ice cream to come in July in my neck o' the woods. If you're a Californian, make sure you visit this page which shows you where you can by Real California Milk products in California. There are also a few different coupons available on the page (and at the bottom of the website) as well!! 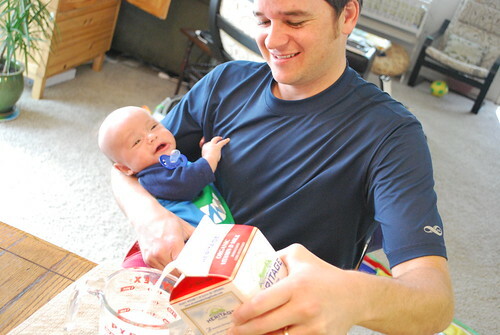 Disclosure: I wrote this article while participating in a blog campaign by the California Milk Advisory Board, who paid me a fee to participate. All opinions expressed are my own.